With a name like General Electric, it stands to reason GE would want to embrace the electric car. Thursday the company announced plans to embrace 25,000 of them with a pledge to convert half of its corporate fleet by 2015. 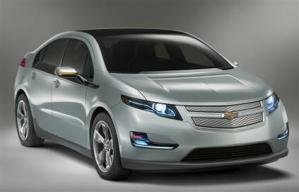 The first mass-market electric cars are expected to go on sale next month, including the Chevy Volt and the Nissan Leaf.